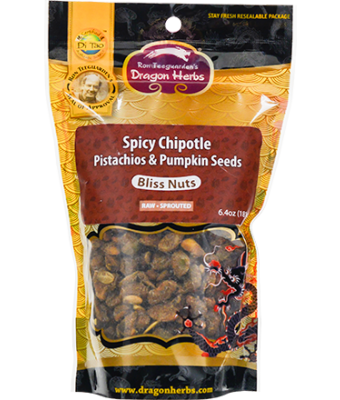 Raw and sprouted spicy nut comfort food! 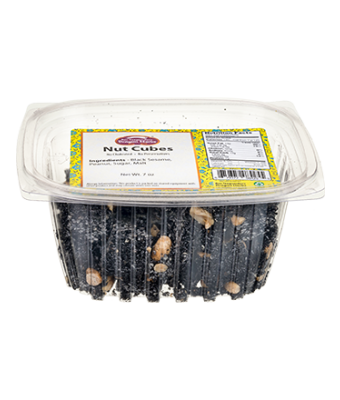 Super crunch sprouted walnuts are mixed with pure maple, sustainably harvested Peruvian mesquite pod meal and warming spices. 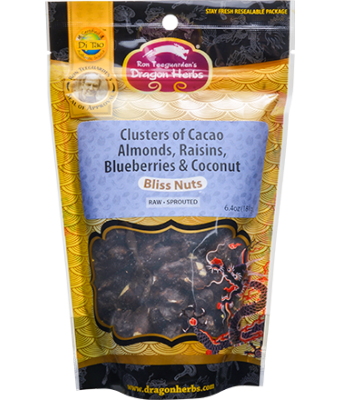 Smooth chocolate flavor with a unique heavenly twist. 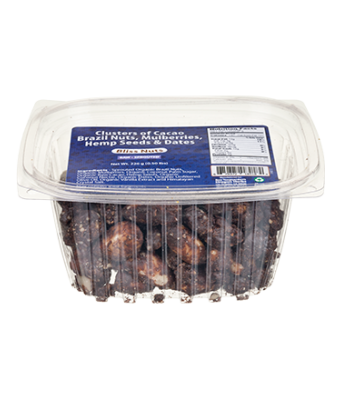 Premium chocolate covered with clusters of exotic Amazon Brazil nuts, white mulberries, help seeds and dates. 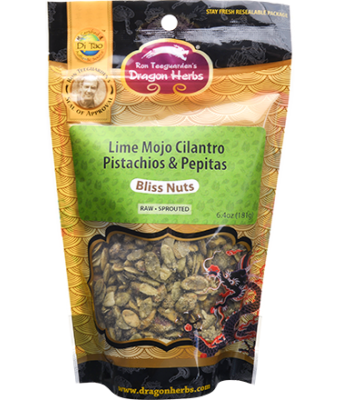 Sprouted pistachios and sprouted pepitas (pumpkin seeds) are jumping with mojo! A culinary treat for garlic lovers. 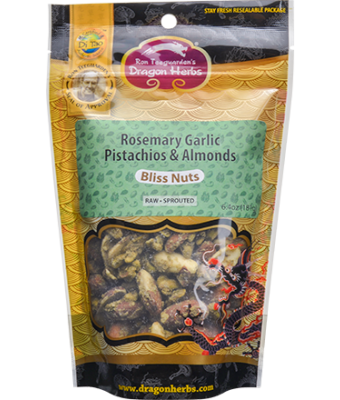 Combines the vibrant flavors of fresh garlic, rosemary and scallions with dried herbs and spices. 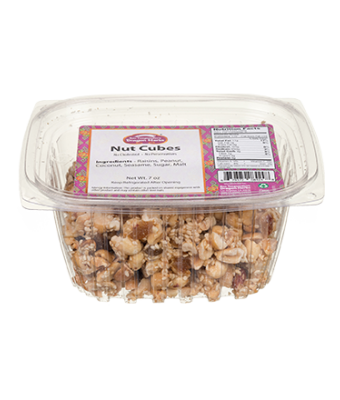 Raw, gluten-free, non-GMO, organic and all-natural. 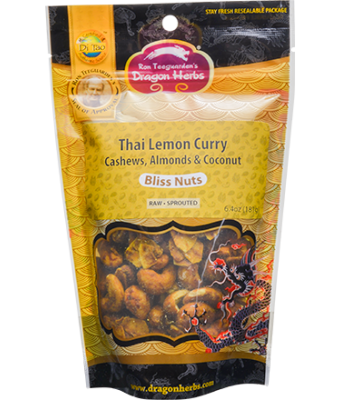 Raw cashews and sprouted almonds, and crunch coconut chips unite with an innovative 15-spice Thai curry blend, accentuating lemongrass, ginger and chilies. 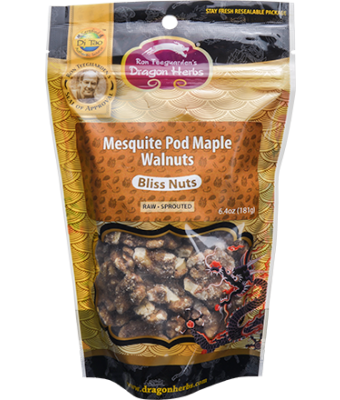 Sweetened with coconut palm sugar and added tang of tart lemon juice. 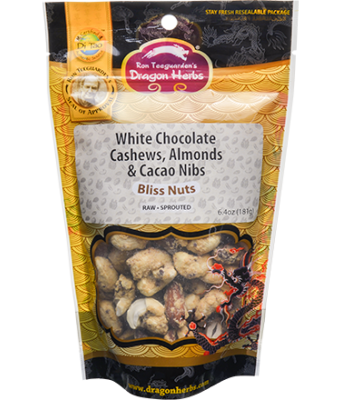 The decadent sweet and creamy flavor of raw cashews and sprouted almonds, coated with premium clear agave nectar, coconut powder, cacao butter and mesquite pod meal.